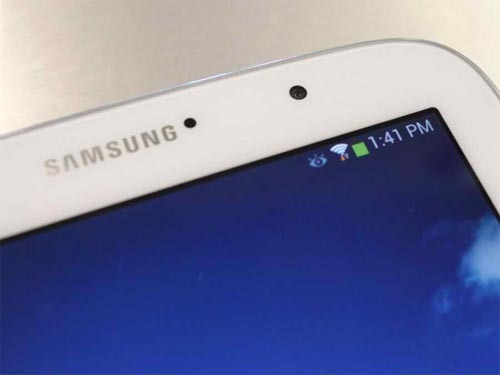 One of our readers sent us an email asking why her Samsung Galaxy Note 2 has an eye icon on the notification bar while his husband's does not have. She doesn't know its function, or why it is there in the first place. She asked for our help on how to get rid of rid. My husband and I have the same phone, Samsung Galaxy Note 2, which we bought together from T-Mobile here in the U.S. While I have no complaints about the my phone's performance and usefulness, there is one thing I don't know about: there is an eye icon on my notification bar. Can you please tell what it is and why it's there? When the eye shows on the notification bar, it means that the Smart Stay feature in Samsung Galaxy Note 2 was enabled. The feature commands the phone to keep the screen enabled while you're looking at it. For readers and those who constantly play multimedia files in their device such as videos and photos, the feature is pretty cool for them. 3. Tap My Device tab. 5. Tap Smart Rotation and disable it. 6. Tap Smart Stay and disable the feature. 7. The eye icon should be gone by now. Do you have other problems with your phone? Tell us about them and we will do the research on how to solve them. Email us at sebertech@gmail.com for your questions, suggestions and problems. We read all the emails we receive although we cannot guarantee a reply for each one of them. In the pervious version on jellybean you could have smart stay enabled but the icon in the notification bar didn't not display itself until the time was nearing for it to check. With the update to 4.3 the notification icon is always on now. I think the real question that everyone is asking now is why is the icon always present when before it wasn't? Illuminati symbol appears when they are spying on you!! !